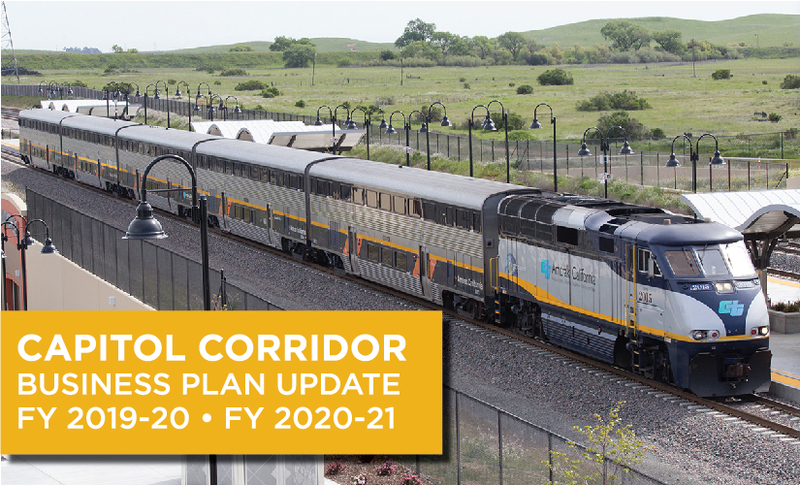 Between January 22 and January 25, 2019, the Capitol Corridor will hold public workshops onboard select trains and via a Facebook Live broadcast to present its Draft FY 2019-20 – FY 2020-21 Business Plan. This is an excellent opportunity for the public to learn more about and have a say in the Capitol Corridor’s future. We invite you to participate at one of the onboard workshops listed below (including train numbers with route segment(s) and approximate start times), or join us for our Facebook Live broadcast on Tuesday, January 22 at noon. Through February 1, 2019, you are invited to provide input on the draft plan at one of the workshops, via an online form, or via mail to CCJPA, 300 Lakeside Drive, 14th Floor East, Oakland CA 94612.